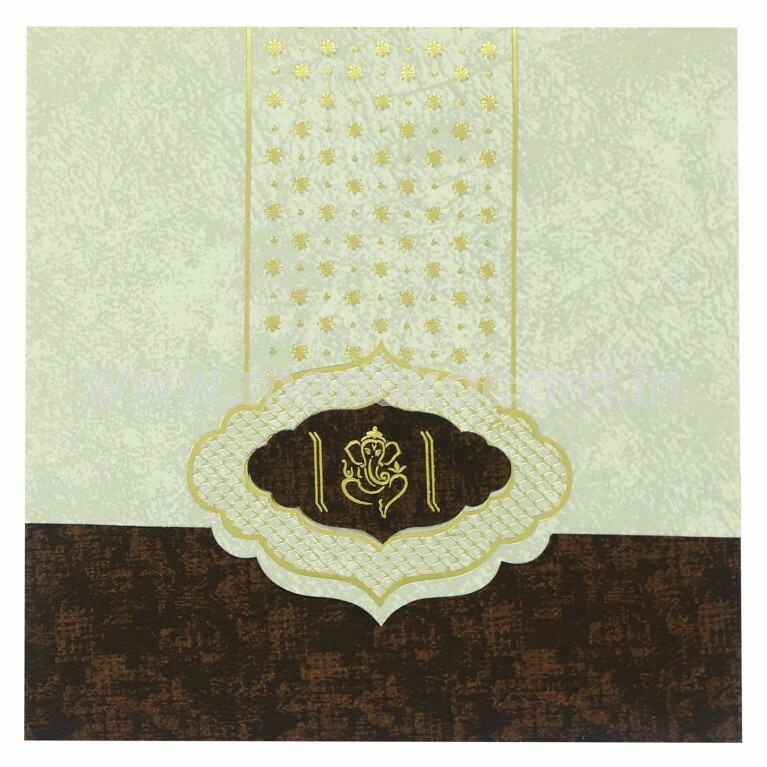 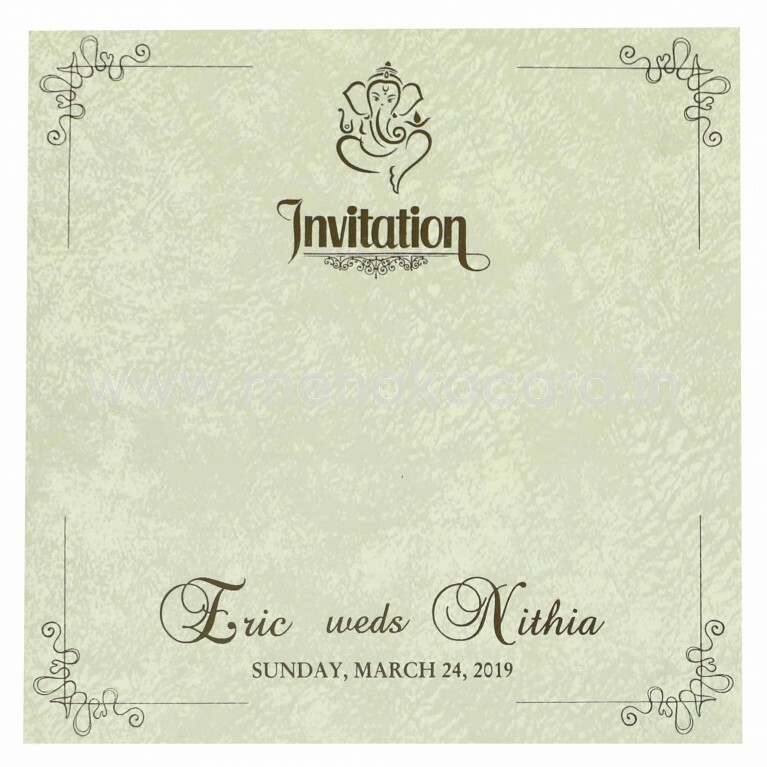 This alluring cream laptop folding card is made from a matte finish artboard and has a gold foil banner printed down the centre of the main flap of the card housing a beautiful gold and brown Ganesha badge in the midst of a scalloped scale frame in gold. 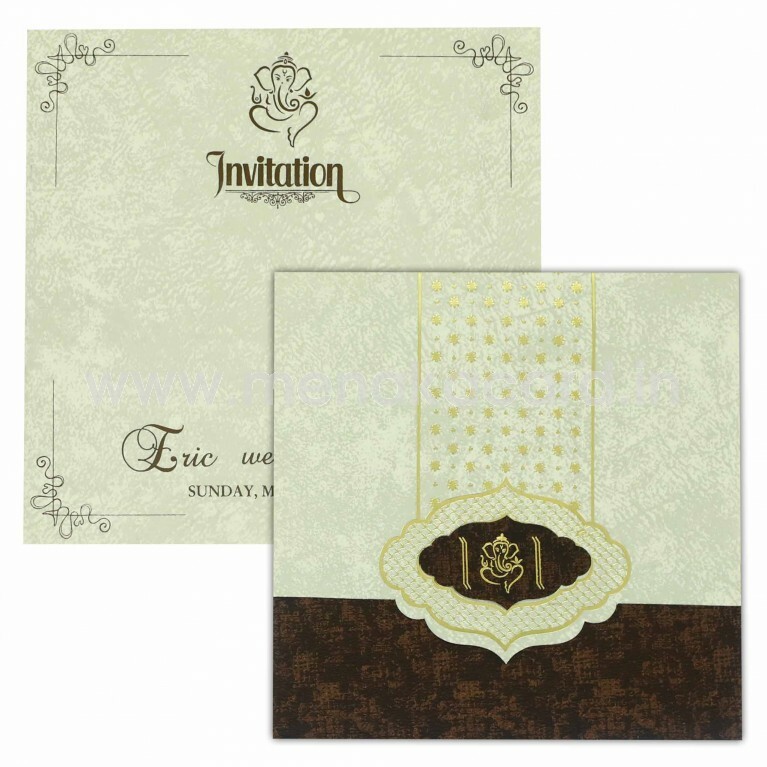 The dark brown insert holder of this card holds two off white inserts with contrasting brown text. 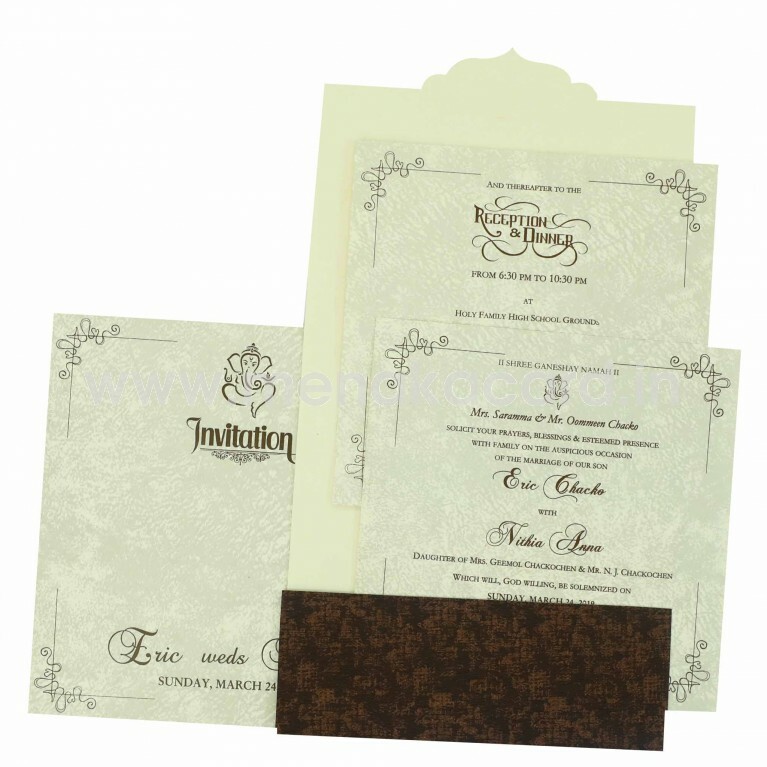 This can be used for Hindu weddings, Receptions, Engagements, Grahapravesham etc.